The body’s ability to adapt to changing conditions and shifting physiologic demands is essential to survival. 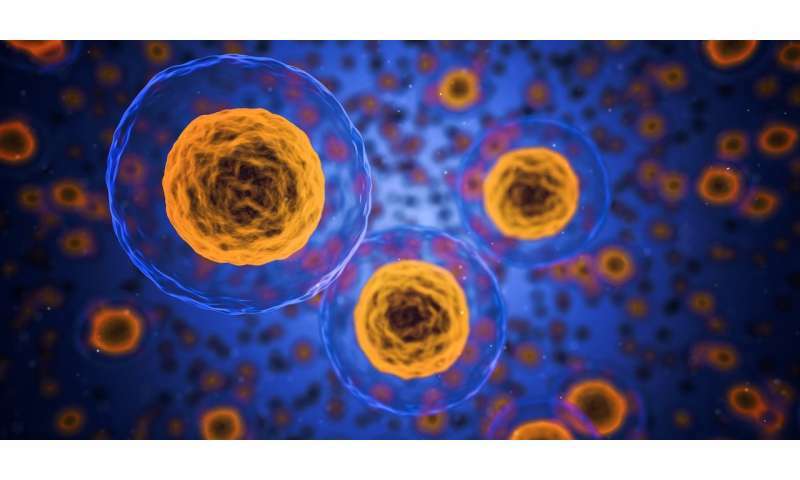 To do so, each cell must be able to dispose of damaged or unnecessary proteins—a quality-control mechanism critical for cellular performance and for the health of the entire organism. 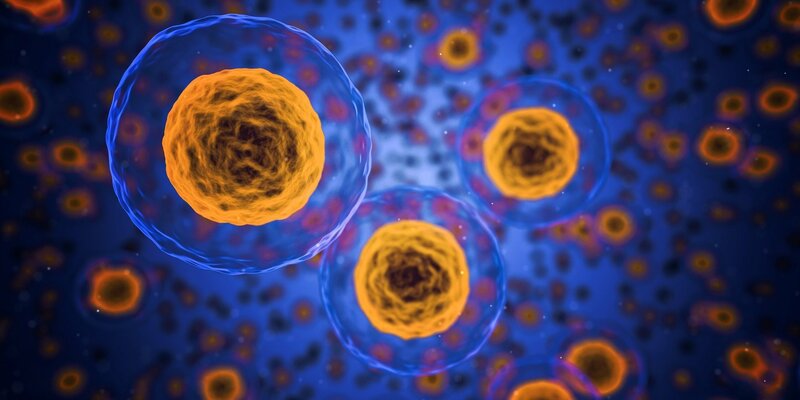 Now, a study from Harvard Medical School shows that intense exercise, fasting and an array of hormones can activate cells’ built-in protein disposal system and enhance their ability to purge defective, toxic or unneeded proteins. The findings, published Feb. 19 in PNAS, reveal a previously unknown mechanism used by the body to rapidly turn on the molecular machinery responsible for junk-protein removal, allowing cells to adapt their protein content to meet new demands. This mechanism, the study shows, is triggered by fluctuations in hormone levels, which signal changes in physiologic conditions. “Our findings show that the body has a built-in mechanism for cranking up the molecular machinery responsible for waste-protein removal that is so critical for the cells’ ability to adapt to new conditions,” said Alfred Goldberg, senior author on the study and professor of cell biology in the Blavatnik Institute at Harvard Medical School. Malfunctions in the cells’ protein-disposal machinery can lead to the accumulation of misfolded proteins, which clog up the cell, interfere with its functions and, over time, precipitate the development of diseases, including neurodegenerative conditions such as ALS and Alzheimer’s. The best-studied biochemical system used by cells to remove junk proteins is the ubiquitin-proteasome pathway. It involves the tagging of defective or unneeded proteins with ubiquitin molecules—a process known as the “kiss of death,” which marks proteins for destruction by the cell’s protein-disposal unit, known as 26S proteasome. Past research by Goldberg’s lab has shown that this machinery can be activated by pharmacological agents that boost the levels of a molecule known as cAMP, an intracellular messenger, which in turn switches on the enzyme protein kinase A. The team’s previous work has shown that cAMP-stimulating drugs enhance the destruction of defective or toxic proteins, particularly mutant proteins that can lead to neurodegenerative conditions. The new findings, however, reveal that this quality-control process is continually regulated independent of drugs by shifts in physiological states and corresponding changes in hormones. Past research, including work from Goldberg’s lab, has focused predominantly on reining in overactive protein breakdown—a state of excessive protein removal that can cause muscle wasting in cancer patients or give rise to several types of muscle atrophy. In fact, a proteasome inhibitor drug that tamps down the activity of the protein-disposal machinery, developed by Goldberg and team, has been widely used for the treatment of multiple myeloma, a common type of blood cancer, marked by abnormal protein accumulation and overworked proteasomes. The team’s latest work, by contrast, is focused on developing therapies that do the exact opposite—invigorate the cell’s protein-disposal machinery when it is too sluggish. These newest findings open the door—at least conceptually—to precisely such treatments. “We believe our findings set the stage for the development of therapies that harness the cells’ natural ability to dispose of proteins and thus enhance the removal of toxic proteins that cause disease,” said study lead investigator Jordan VerPlank, a postdoctoral research fellow in cell biology in the Blavatnik Institute at Harvard Medical School. Such treatments, the team said, may not necessarily involve the design of new molecules but instead stimulate the cell’s built-in capacity for quality control. “This is truly a new way of looking at whether we can turn up the cellular vacuum cleaner,” Goldberg said. “We thought this would require the development of new types of molecules, but we hadn’t truly appreciated that our cells continually activate this process. “The beauty and the surprise of it is that such new treatments may involve churning a natural endogenous pathway and harnessing the body’s preexisting capacity to perform quality control,” he added. That exercise has many salutary effects is already well known, the researchers said, but the new findings also hint at the possibility that exercise and fasting could help reduce the risk of developing conditions associated with the accumulation of misfolded proteins, such as Alzheimer’s and Parkinson’s. That possibility, however, remains to be explored in subsequent research, the team noted. In their experiments, the researchers analyzed the effects of exercise on cells obtained from the thigh muscles of four human volunteers before and after vigorous biking. Following exercise, the proteasomes of these cells showed dramatically more molecular marks of enhanced protein degradation, including greater levels of cAMP, the chemical trigger that initiates the cascade that leads to protein degradation inside cells. The same changes were observed in the muscles of anesthetized rats whose hind legs were stimulated to contract repeatedly. Fasting—even for brief periods—produced a similar effect on the cells’ protein-breakdown machinery. Fasting increased proteasome activity in the muscle and liver cells of mice deprived of food for 12 hours—the equivalent of an overnight fast. In another round of experiments, the researchers exposed the liver cells of mice to glucagon—the hormone that stimulates the production of glucose as fuel for cells and tissues during periods of food deprivation or whenever blood sugar levels drop down. The researchers observed that glucagon exposure stimulated proteasome activity and enhanced the cells’ capacity to destroy misfolded proteins. Exposure to the fight-or-flight hormone epinephrine produced a similar effect. Epinephrine, or adrenaline in common parlance, is responsible for stimulating the liver and muscle to mobilize energy reserves to boost heart rate and muscle strength during periods of physiologic stress. Liver cells treated with epinephrine showed marked increases in cAMP, as well as enhanced 26S proteasome activity and protein degradation. Epinephrine exposure also boosted proteasome activity—a marker of protein degradation—in the working hearts of rats. Similarly, when researchers exposed the kidney cells of mice to vasopressin—the antidiuretic hormone that helps the body retain water and prevents dehydration—they observed higher levels of protein degradation as well. Taken together, these findings demonstrate that the rate of protein degradation can rise and fall swiftly in a variety of tissues in response to shifting conditions and that such changes are mediated by fluctuations in hormone levels. This response was also surprisingly rapid and short-lived, the scientists noted. For example, exposure to the antidiuretic hormone triggered protein breakdown in kidney cells within five minutes and subsided to pre-exposure levels within an hour, the experiments showed. The findings show that a diverse set of hormones that stimulate the intracellular messenger cAMP appear to share a common mechanism that alters the composition of cells. cAMP-stimulating hormones have long been known to modify gene expression, but this latest research reveals they also play a critical role in cellular “house cleaning” by disposing of proteins that are no longer needed. Even the most mundane of activities—eating, sleeping, exercise—require the cells in our body to modulate their composition minute by minute in order to cope with new demands, all in the name of maintaining proper cellular function and averting harm. The new research reveals that some of these protective shifts occur in our cells’ protein-disposal system, where misfolded or unneeded proteins are removed promptly and new ones in demand are synthesized swiftly. The new findings build on observations about the physiologic effects of hormones first made by Harvard Medical School physician Walter Cannon nearly a century ago and elegantly captured in his book The Wisdom of the Body (1932). Some of Cannon’s most notable work includes defining the mechanism of action of the hormone epinephrine and its role in the body’s fight-or-flight response—a key survival mechanism marked by a cascade of physiologic changes during times of high stress. Epinephrine is one of the hormones whose action on the cells’ protein-disposal machinery is now illuminated by Goldberg’s latest work. In a twist of symbolic coincidence, Goldberg’s lab occupies the very space where Cannon made his historic observations on the same hormone a hundred years ago.